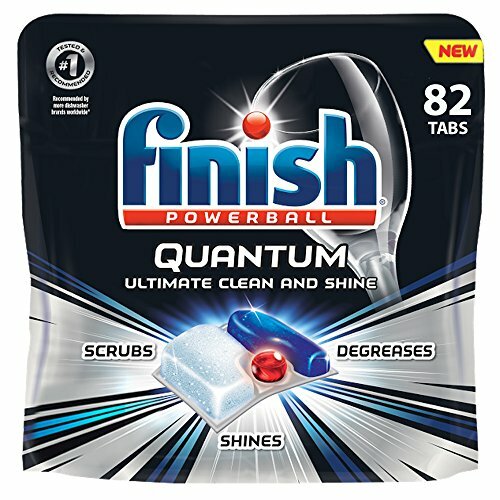 Amazon has the Finish Quantum Dishwasher Detergent Tabs, Ultimate Clean & Shine, 82 Count priced at $16.47. Clip the $4.00 off coupon and score this for only $11.64 and it ships for FREE with your Prime Membership or any $25 order. New Finish Quantum scrubs, degreases, and shines. Because there’s clean. Then there’s so clean it shines. With 3 separate fast dissolving chambers, delivering 3 different power actions!